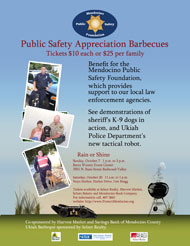 Please join us in becoming a member of the Mendocino Public Safety Foundation. The knowledge that you’ve helped keep Mendocino County a great place to live. Receipt for deduction of your donation from federal and state taxable income (subject to your individual tax status). A Donor decal with the Foundation’s logo. 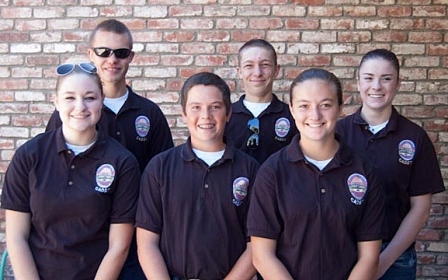 Our annual report on law enforcement in Mendocino County and how your donation has been spent. An invitation to the Foundation’s annual event. Our mailing list won’t be shared with anyone.